There comes a time in ever streamer’s life when they just need something new to watch. They’re between seasons of their favorite shows, and their wife just binge watched her way through every Poldark episode to date. When this happens, a streamer often stumbles across a series that’s usually dark, mysterious, and intriguing enough to hook them from the first episode. Such is the case with this streamer, and Amazon’ Prime’s Homecoming. It looked intriguing enough for Mrs. Buckler and I to watch the first episode, and once we did, we became hooked mainly because we’re eager to solve its mysteries. That’s the first question anyone asks you when you try to convince them to watch something new. Well, this series first saw life as a podcast of the same name created by Eli Horowitz and Micah Bloomberg. The movie version was directed by Sam Esmail (Mr. Robot, Comet). The series stars Julie Roberts, Bobby Cannavale, and Shea Whigham, among others. The show’s basic plot concerns the Homecoming Transitional Support Center, a live-in facility dedicated to helping returning soldiers overcome their PTSD. Heidi Bergman (Roberts), a former caseworker at the Homecoming Transitional Support Center who works as a waitress. Thomas Carrasco (Whigham), an investigator form the Department of Defense who’s investigating the closing of the Homecoming Transitional Support Center. Each 30-minute episode jumps between events in the past and the present, especially for the Heidi Bergman character. We see her successful life as a Homecoming caseworker who takes a special interest in Walter Cruz (Stephan James), a veteran enrolled in the Homecoming program. We also see Berman’s life in the present, where she works as a waitress in a small, dockside restaurant. All of Thomas Cassasco’s scenes are set in 2022, where he desperately attempt to discover exactly what happened at the Homecoming center. … That’s a bit more difficult to answer since I’ve only seen five of the 10 episodes. If I had to take a guess, this show is a commentary about what could happen if a non-governmental organization, aka NGO, was less the scrupulous with its aims and goals. For those who don’t know, NGOs are organizations or corporations that are independent of governments yet are sometimes funded by governmental organizations. Many NGOs are active in humanitarian, educational, and other similar causes. The fictional Geist Corporation, which operates the Homecoming Transitional Support Center, is just such an NGO. In the first five episodes, the viewer doesn’t know exactly why the corporation is doing for the combat vets. You get the feeling that it’s not helping them with their PTSD, as administrators of the Homecoming program claim. Well, that and the whole Geist Corporation is portrayed in a rather creepy fashion throughout the series so far. What is the true purpose behind the Homecoming Transitional Support Center? (I don’t believe it’s to help veterans cope with their PTSD and reintegrate them into society. Is Heidi Bergman’s memory loss legitimate? Or is she faking it? It seems like she really can’t remember about her four years with Homecoming, but she could just as easily be faking it to protect herself. Is the Homecoming Transitional Support Center really located in Florida? Or is it in a different country altogether, as Shrier (Jeremy Allen White) insists? So, did I do tease you about Homecoming enough to make you want to watch it? If so, the DISH AirTV Player offers a great way to stream all your favorite programming. Yes, you can add Amazon Prime and other streaming services to your AirTV Player services. Even if Homecoming isn’t your thing, you still can enjoy so much great local, national, and paid programming on your AirTV Player. This streaming device is as unique as it is useful. First of all, you can add a Sling TV package to it for a whole host of national channels. You also can choose to add Amazon Prime, Netflix, and other streaming services. When you connect a TV antenna to your AirTV Player, you get most or all of your local TV channels on the same menu as your national and paid programming. Best of all, this device lets you cast all of your programming (even those local channels) to your phone, tablet, and other portable devices. Do you want to know more about the revolutionary new AirTV Player from DISH? Solid Signal is a DISH Preferred Dealer. 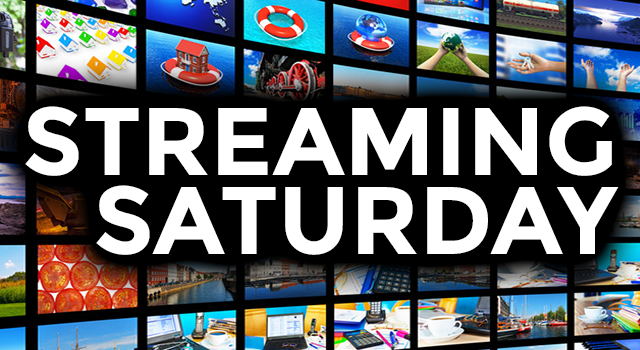 Our reps can answer any questions you have about this awesome streaming service provider. Just give us a call at 877.312.4547. Will Netflix 4K EVER be as good as DIRECTV 4K?